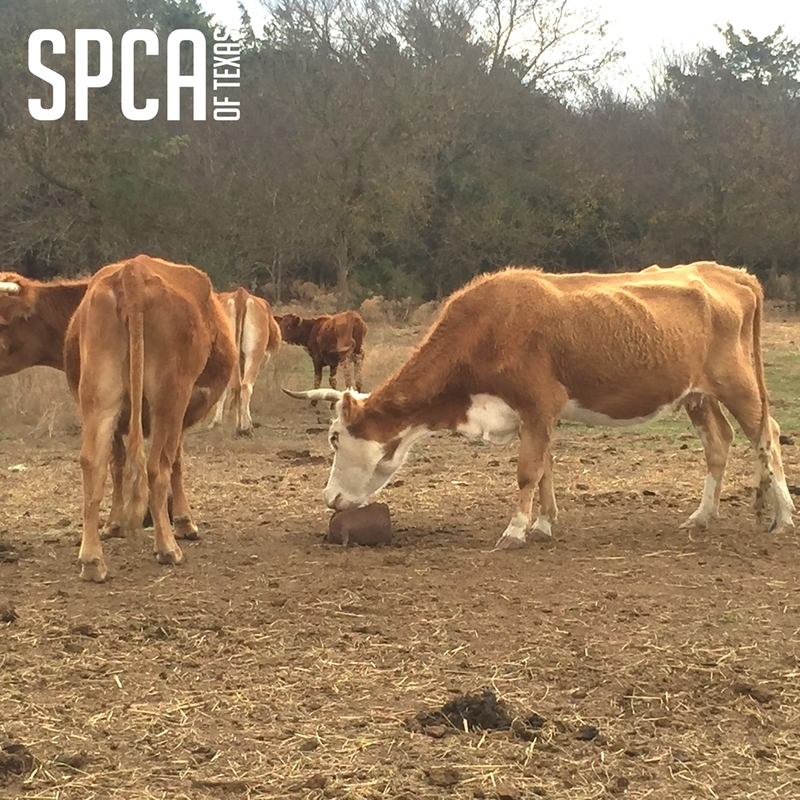 (SULPHUR SPRINGS, TX); December 4, 2017–Today, the Hopkins County Sheriff’s Office began seizing and taking custody of approximately 200-400 allegedly cruelly treated, starving head of cattle from six Hopkins County properties near Sulphur Springs, TX. Due to the number of cattle and the multiple locations, the animals’ removal will likely take through Wednesday, December 6. Today, more than 160 cattle were removed from two of the six properties. The SPCA of Texas is assisting in removing, transporting, taking inventory of and collecting evidence for the case, and will also provide expert witness testimony. The animals did not have access to appropriate food or water and were not receiving proper care. Due to the severity of their conditions, two head of cattle were euthanized on the scene today by a veterinarian. Three deceased cattle were also found today on the properties along with an unknown number of skeletal remains of cattle. The animal owner was arrested today on one of the properties and charged with felony cruelty to livestock animals. The animal owner faces a state jail felony, which carries a punishment of up to two years in state jail and up to $10,000 fine. The cattle were found on six different properties encompassing an estimated 2,700 acres of bare pasture land. Most of the cattle are emaciated. No hay was found on the properties today. The Hopkins County Sheriff’s Office and the SPCA of Texas have received multiple complaints of animal cruelty in this case and attempted to work with the owner to bring the animals’ conditions into compliance with Texas Health and Safety Code. As the animal owner refused to provide sufficient appropriate food, water and care for the cattle, the Hopkins County Sheriff’s Office and the SPCA of Texas agreed that it was in the animals’ best interest to obtain a seizure warrant and remove them. The cattle were removed to an undisclosed location, where they will be provided with all needed veterinary care, food and water until the custody hearing. The custody hearing will be held on Wednesday, December 13 at 1:30 p.m. at the Justice of the Peace, Pct. 1 Courthouse, located at 128 K Jefferson, Sulphur Springs, TX 75482, the Honorable Judge B.J. Teer presiding. To help support the SPCA of Texas and its efforts to help abused, neglected and homeless animals and to support the SPCA of Texas’ other programs and services, please visit www.spca.org.